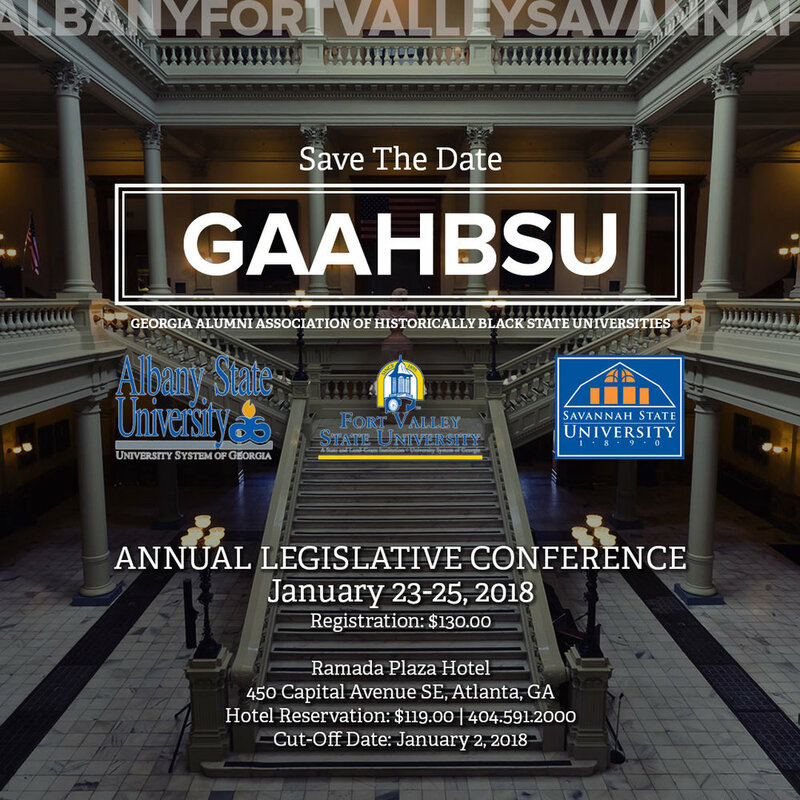 The 33rd Annual GAAHBSU (Georgia Alumni Association of Historically Black State Universities) Legislative Conference will be held on January 23–25, 2018, at the Ramada Plaza Atlanta Capitol Park Hotel (Downtown Atlanta). GAAHBSU is a consortium of the National Alumni Associations of Albany State University, Fort Valley State University, and Savannah State University. It is organized to advance their missions and to help ensure the futures of these historically significant institutions. The legislative conference provides a forum for alumni and officials of Georgia's Historically Black Public Universities to dialogue with elected officials and key state leaders to address the universities' common goals and concerns. Registration is $130.00. Hotel reservation is $119.00 with a cut-off date of January 2, 2018. Contact for hotel reservations is 404.591.2000. Hope to see you there.